Post-combustion capture (PCC) has been identified as the leading technology for deployment in Australia between 2025 and 2030. 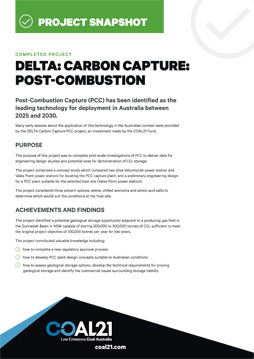 Many early lessons about the application of this technology in the Australian context were provided by the DELTA Carbon Capture PCC project, an investment made by the COAL21 Fund. The purpose of this project was to complete pilot-scale investigations of PCC to deliver data for engineering design studies and potential sites for demonstration of CO2 storage. 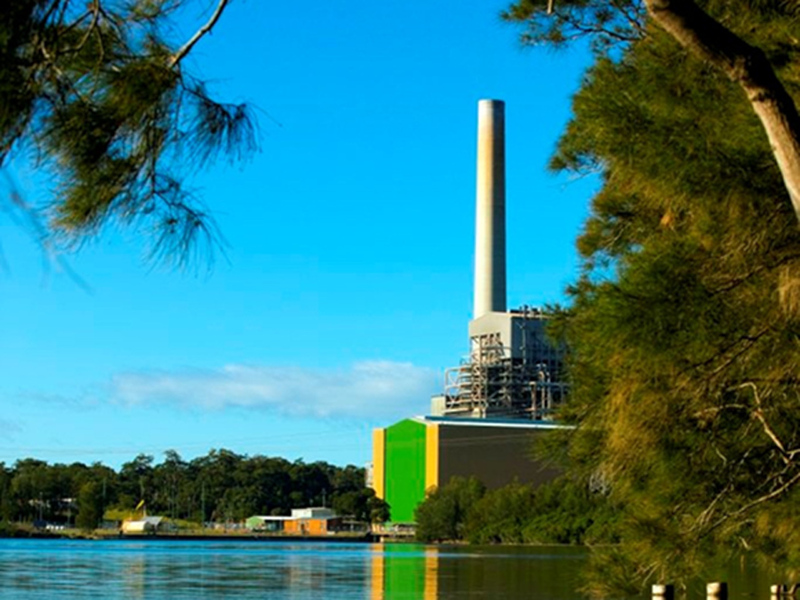 The project comprised a concept study which compared two sites (Munmorah power station and Vales Point power station) for locating the PCC capture plant, and a preliminary engineering design for a PCC plant suitable for the selected host site (Vales Point power station). The project considered three solvent options: amine, chilled ammonia and amino acid salts to determine which would suit the conditions at the host site. The project identified a potential geological storage opportunity adjacent to a producing gas field in the Gunnedah Basin in NSW capable of storing 200,000 to 300,000 tonnes of CO2, sufficient to meet the original project objective of 100,000 tonnes per year for two years. how to assess geological storage options, develop the technical requirements for proving geological storage and identify the commercial issues surrounding storage liability. The project started in February 2010 and concluded in July 2014 due to changing CCS funding priorities.